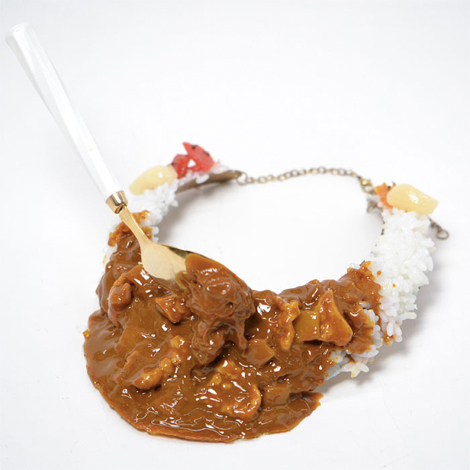 These food-themed accessories are weird and amazing, and will either delight or confuse the hell out of your Valentine (possibly both). Chocolates are boring (unless you snort them) and jewelry is generic. But combine the two and you’ve got an original gift that your food-loving lover will really remember. We’ll be real with you: These gastro-themed gifts aren’t for everyone. They might earn you some serious points, or they might make you look like an unromantic freak. But fortune favors the brave, and besides, Valentine’s Day is kind of a BS holiday anyway so you may as well have some fun with it. 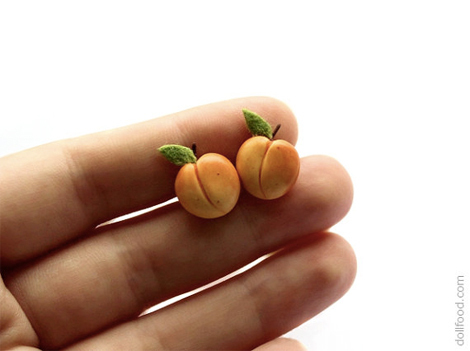 Oh Etsy, the home of all things twee. Resist the cutesy pizza slices that fit together to form a pepperoni heart, and miniature avocado halves that join together to make each other whole. Yes, they’re romantic, but they are also boring and sad. 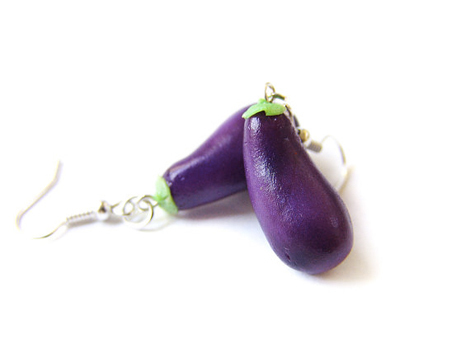 Valentine’s Day is unofficial “experiment in the bedroom” night, so tell your bae what you’re going to do to them later with these eggplant, peach, and donut charms. 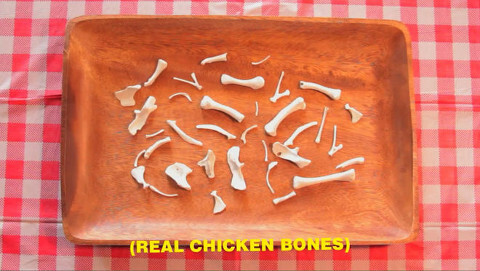 Fried food meets fine jewelry with a macabre, voodoo-esque spin? Obviously this is awesome and guaranteed to get you laid. 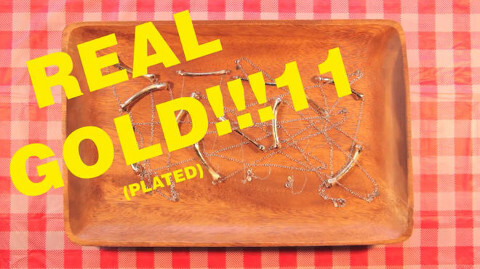 The geniuses at Kentucky for Kentucky makes these by purchasing an 8-piece dinner from KFC, saving the wing bones, and then plating them in gold so you can wear them 4eva—which is how long your girl/man will love you after being presented with this wing bling. Remember when having your name written on a grain of rice and wearing it in a capsule around your neck was a thing? 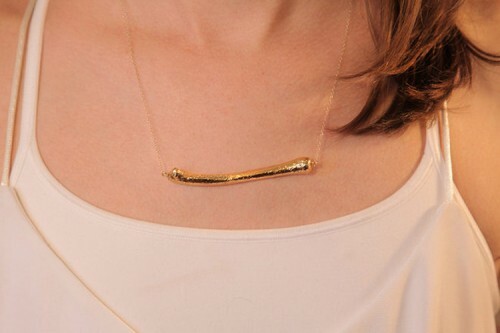 Well this is kind of similar, except that instead of a grain of rice, you’re wearing a piece of brass that’s been cast from an actual cronut flake. 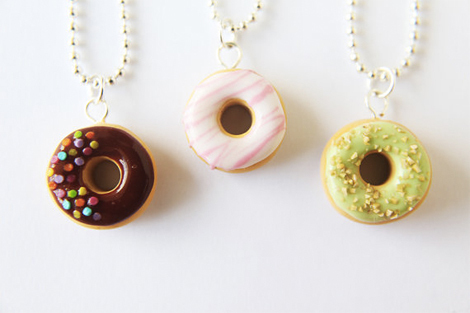 The necklace comes with two cronuts as part of a joint promo between Dominique Ansel and Virgin Mega. It’s really great for people who like status symbols, and who also think cronuts are a symbol of status. 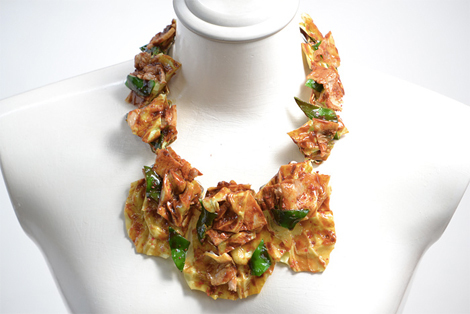 Is there a truer, more sincere expression of love than enabling someone to wear twice-cooked pork around their neck? Your honey probably never thought they’d be able to do that, which means you’ve just expanded their horizons and opened them up to new possibilities. High five for being a great life partner! 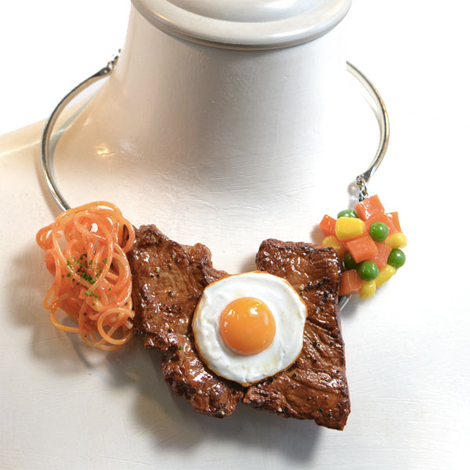 Fake Food Hatanaka makes tons of different wearable dishes, including steak and eggs, spaghetti, and curry rice with an actual spoon sticking out of it. 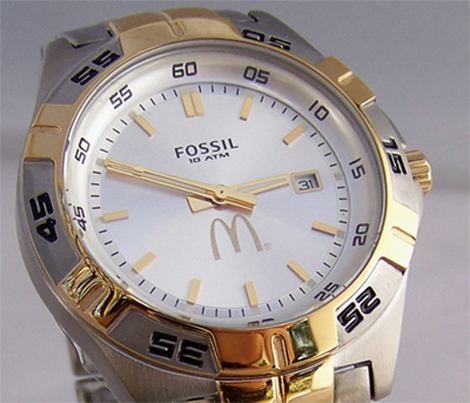 Strictly for sophisticated paramours with expensive taste, these his and hers Fossil timepieces have a tastefully small Golden Arches logo on the watch face. This kind of limited edition collector’s item was usually made for management, special employees, or for promo purposes. In other words: hella authentic. 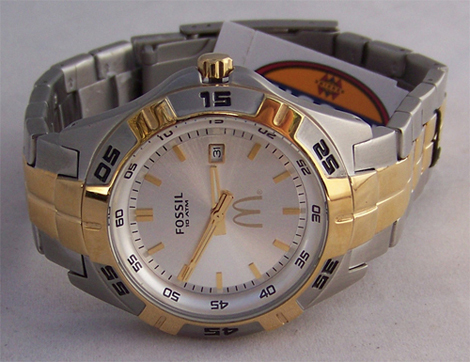 It’s the ultimate wrist candy for urbane, serious professionals who squeal a little bit when the McRib goes back on the menu. Amazingly, it’s sold out due to overwhelming demand—but the makers are taking pre-orders for Easter!